Home » Posts Tagged "Fur Hood"
Repost. Brrr. It’s cold outside. 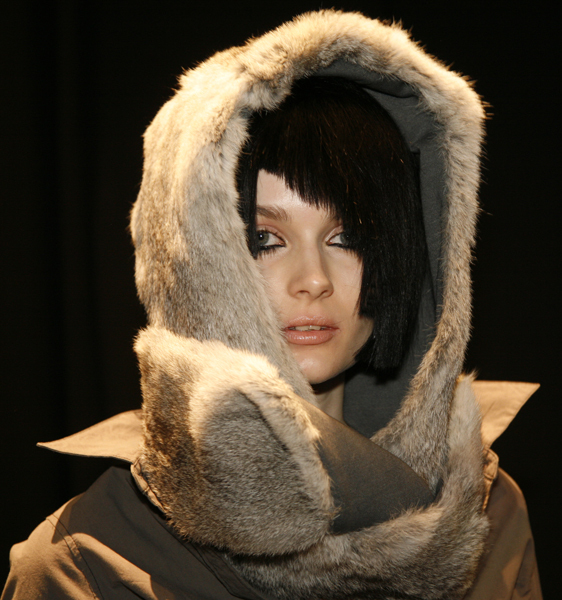 This fab fur hood was one of many great fashions for harsh, winter weather shown at the Nicholas K Fall/Winter 2014 New York Fashion Week Show. It’s a winner, as were more fashions at this show, by the siblings, Nicholas and Christopher Kunz.